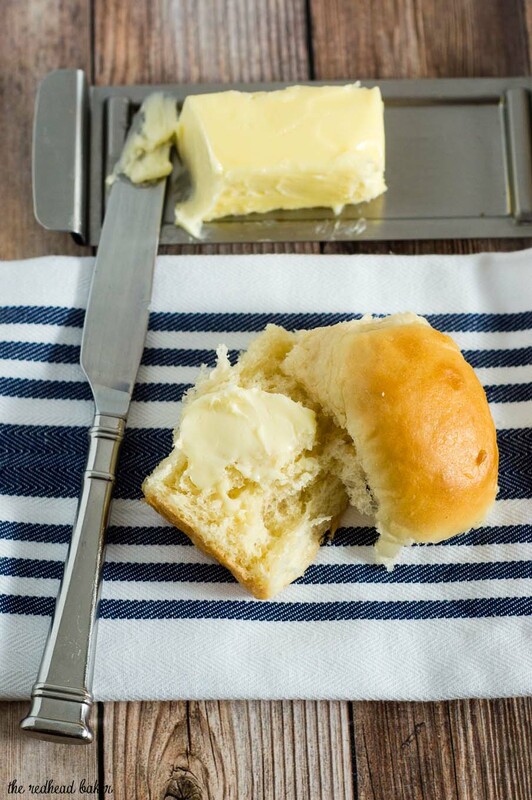 Fluffy potato rolls are soft, light and more flavorful than plain white-bread dinner rolls. They stay soft at room temperature for several days, so they’re ideal for making ahead of a big dinner like Thanksgiving. Now that Halloween is over, my most favorite time of the year begins: Thanksgiving and Christmas. Don’t get me wrong, I love Halloween. But the time of year after Halloween is what I look forward to all year long. Todays’ #SundaySupper is all about holiday side dishes. Thanks to Caroline of Caroline’s Cooking for hosting today’s event! Don’t ask me whether I love Thanksgiving or Christmas more. I love them both, for different reasons. Thanksgiving is all about the food. I love planning, shopping for, and cooking Thanksgiving dinner (and I love that doing those three things gets me out of doing the dishes afterwards!). I love everything about Christmas: the music, the decorations, the cookies, the gift wrapping, the generous spirit the season inspires, and being Santa Claus for others. I love both Thanksgiving dinner and Christmas dinner. In my family, we have turkey on Thanksgiving, and surf ‘n turf on Christmas. I look forward to all parts of both meals: the drinks, the appetizers, the main dish, the sides, and the desserts. What can I say? I love food! I look forward to the carb-y side dishes the most. The stuffing, the potatoes, and the dinner rolls. I’m Coleen, and I’m a carboholic. I love white bread stuffing and cornbread stuffing. I love mashed potatoes, roasted potatoes, and sweet potatoes. I love biscuits, and dinner rolls. And I love, love, love potato rolls. 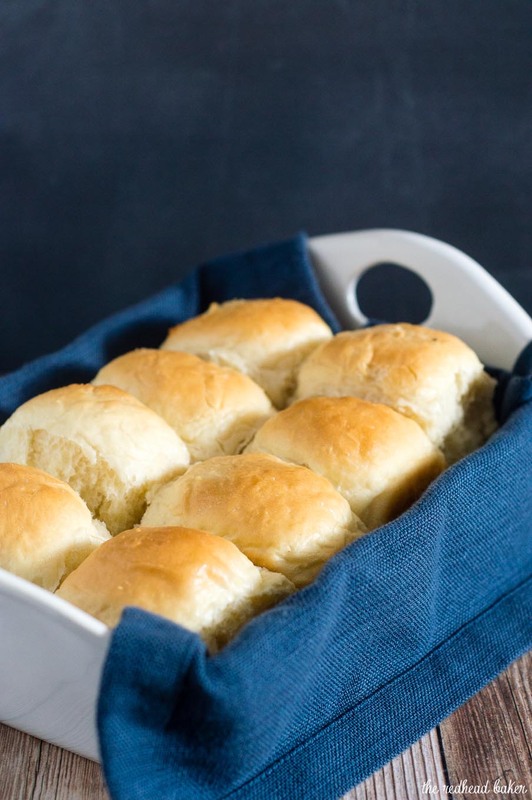 Mashed potatoes are incorporated into yeast dough to make these light and soft dinner rolls. I took a shortcut and used instant potato flakes to make my unseasoned mashed potatoes. Combine 2/3 cup water with 1/3 cup milk and 2/3 cup potato flakes. Microwave for 2 minutes, set aside to cool a bit, then proceed with the recipe. I divided my dough into 2 1/2-ounce portions to make 18 dinner rolls. They are pretty large rolls, so I wouldn’t make each roll any bigger than that. 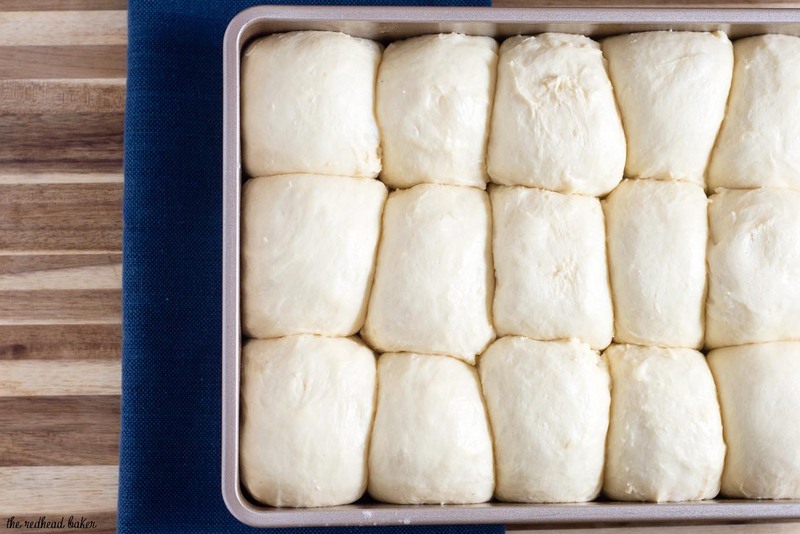 If you need more rolls, divide your dough into 2-ounce portions. You’ll have slightly smaller rolls, and they make bake quicker, so check them 5 minutes earlier than the instructions below direct. 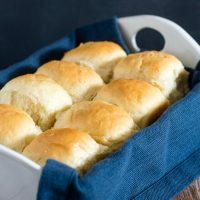 Potato rolls stay soft and moist for a few days longer than plain dinner rolls, thanks to the mashed potatoes in the dough, so they are ideal to make ahead of time. You can store them at room temperature, and they will still taste fresh. Pop them in the oven while your turkey rests to warm them up so the butter melts into the rolls. *1 medium-to-large baking potato will yield 8 ounces of mashed potato, or combine 2/3 cup instant potato flakes with 2/3 cup water and 1/3 cup milk, and microwave for 2 minutes. In the bowl of a stand mixer, gently whisk together the water, yeast and 1/2 tsp sugar. Set aside for 5 minutes. Add the remaining ingredients to the bowl, and stir with the paddle attachment on low speed until all ingredients are moistened. Switch to the dough hook and knead on medium speed for 5 minutes, until the dough is smooth. Spray a bowl with nonstick spray. Form the dough into a ball and place in the bowl. Spray the top of the dough with nonstick spray, cover with plastic wrap and a clean kitchen towel, and place in a warm, draft-free place to rise for 90 minutes. Punch the dough down, and divide the dough evenly into 18 pieces. Roll each piece into a tight ball. Spray a 9x13 baking dish with nonstick spray, and arrange the balls in 3 rows of 6 in the baking dish. Spray the tops with nonstick spray. Cover with plastic wrap and set aside to rise for 90 minutes. During the last 30 minutes of rise time, preheat your oven to 350 degrees. 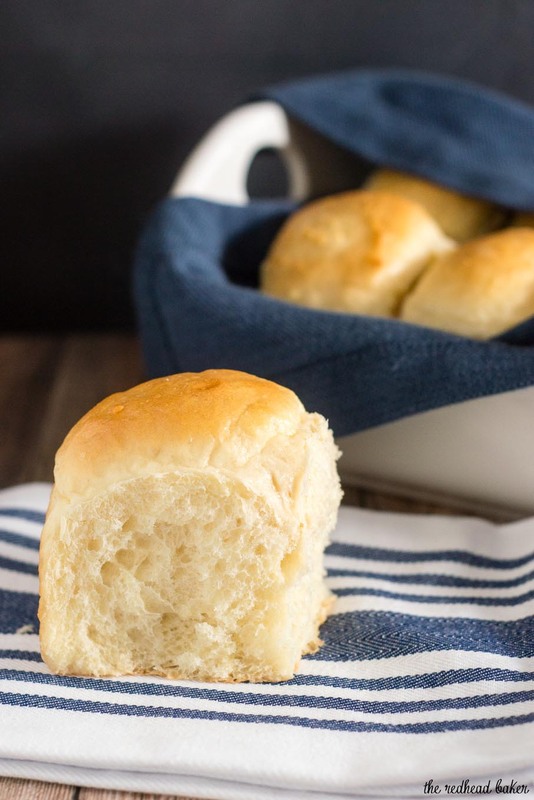 Once fully risen (when you poke the dough, the indentation shouldn't fill back in), remove the plastic wrap from the baking dish and bake the rolls for 20 to 24 minutes, until light brown on top. Remove from the oven and cool to room temperature. If not serving immediately, store in an airtight container at room temperature for up to 5 days. Discover more #SundaySupper holiday side dish recipes! 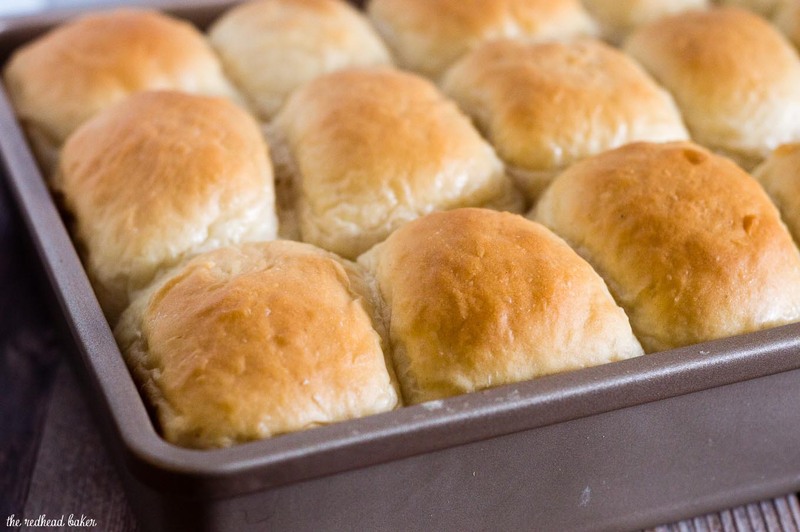 These look so good and everyone need a good roll for Thanksgiving. Somehow rolls always are the star of the show! I am such a sucker for soft, fluffy rolls, and these look like the King of them. SO perfect for Thanksgiving dinner or just a homestyle family dinner! I am glad we’re on the same boat. I love everything about the holidays and have started my Christmas music since October. It’s never too early, right? 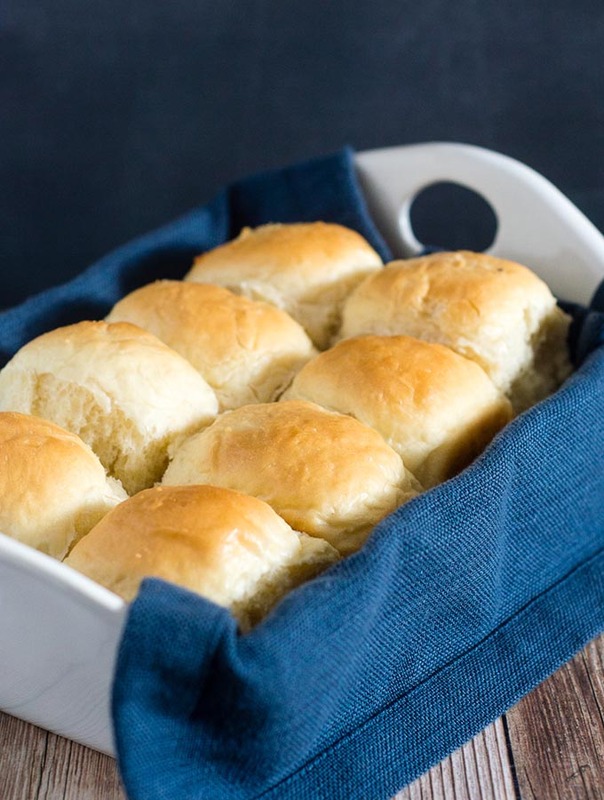 And these potato rolls…definitely a must make for the holidays! 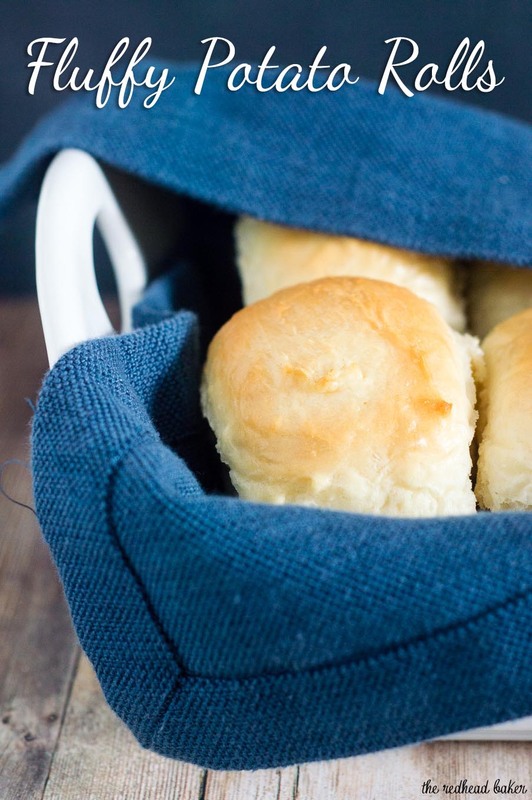 Oh these are some gorgeous rolls! You can never go wrong with a KAF recipe!